What about at the boundary? Figures in both Norwich stores, no Hard is as yet. any updates about the Crawley store? Are there many figures left in Trent Vale? Just in the Crewe store right now, 13:50, and they have 1x12th, 3x11th and 1x1970s. No signs of any TARDIS sets. Rushed there but none left! Know anywhere else that has them? Dam !! Been to Parc Tase – Not and was just in Neath – Sadly nothing. If I see any about will post. How long ago did you check ? All gone now! Damn it! Only 1 tardis set left in Cwmbran. The “pull to open” sticker is missing off the door. 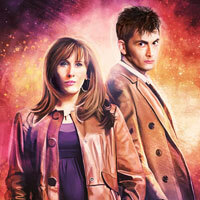 It is on the shelf below the Dr who figures behind 2 star wars bobble heads! Why am I hearing from quite a few reliable sources that there are nowhere near as many TARDIS sets in the country as B&M are saying there are? Even when I contacted head office last week they quoted 4000 as an OVERALL figure for how many figure sets they had to distribute, and less than half those were TARDIS sets. Any sightings in or around Glasgow of these yet? Thanks! The figure sets are in stock at the Robroyston B&M, I picked up the 11th and 12th Doctor sets last night. They also had the 4th Doctor set in, but no 3rd Doctor and TARDIS sets in yet. 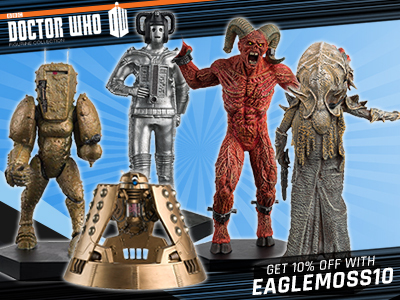 Does anyone know if Cambridge is expecting/has any of the figure sets/TARDIS? 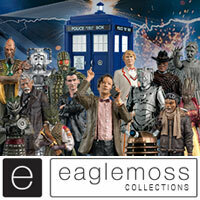 Has anyone spotted any of the figure packs or tardis sets around South Wales yet ? If you want any of the figure sets yesterday Caerphilly had a lot of all sets. Just went there all gone now! Sad! 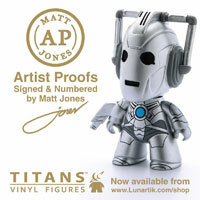 Does anyone know if Cambridge has or is expecting any figures/TARDIS? Someone in Stirling keep me posted if you’re heading out to B&M for the figures please! Just checked. Didn’t have them but did have space cleared next to the 9th doctor sets for the new one’s. Will let you know when they are in. booboo, have you found a TARDIS yet? Try the Eastern Avenue Gloucester store, booboo, they managed to put one aside for me! They may habe some left. 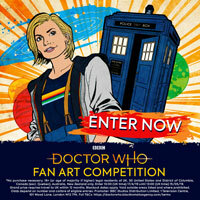 So are 4000 TARDIS and 3rd Doctor sets for the entire country classed as a ‘limited’ run? Or is that about the usual amount produced for a store exclusive? Not really, limited means when its gone its gone, there will not be a second run so buy it when you see it. Put this into perspective, there were 4000 Purple Missy’s, a brand new figure that was eventually sold at half price in toys r us 2 years after it came out. The Tardis set will sell well its realay down to B&m to get it into as many stores and possible in the long term this initial hype and inflated prices will be short lived I’m sure. Also many genuine collectors will want more than on customs etc and again nothing usual about that. I have spoke to a manager in B&M. He said there are still about 3000 in the warehouse. He said he wouldn’t like to say many stores are getting them and only selected stores are getting them. Most stores which are getting them will be getting quite a bit of stock that lasts them all year round. I’m not sure if this is true. I spoke to a colleague in the store I used to work in and managed to get them to put the tardis sets on their triggers and get some in. I have spoke to a manager in B&M. He said there are still about 3000 in the warehouse. He said he wouldn’t like to say many stores are getting them and only selected stores are getting them. Most stores which are getting them will be getting quite a bit of stock that lasts them all year round. 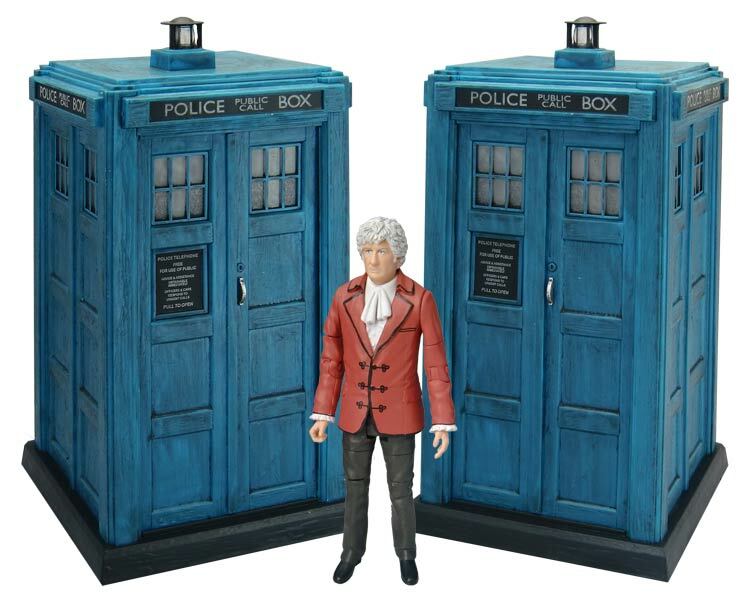 It’s really sad how there are now two pages full of third doctor and tardis sets on eBay. It just makes me sick. I’m really hoping that these scalpers who have bought 20+ find themselves with a pile of stuff they cannot shift! +Anonymous I don’t, cause that means there are 20 TARDIS that could have gone to other people who actually wanted them for their collects and not get ripped off. Sadly the scalpers are on to a guaranteed win. It’s a unique set and demand from. Fans is worldwide. 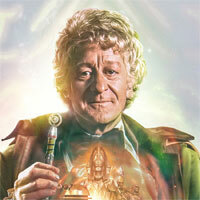 Pertwee has not been released with Tardis before (AFAIK) so any serious collector will have to get it somehow. hardly any of the stock has been sent out, the craze will soon pass and most stores will have plenty i’m sure. Ebay is partly to blame as well for not enforcing its own rules and allowing private sellers to suddenly start trading as business and not registering as such. 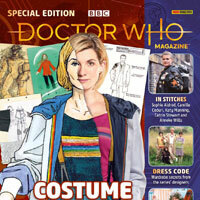 Any update on the Liverpool and Ormskirk stores please, namely the TARDIS set? No Tardis sets yet in Ormskirk, Burscough, Southport or Liverpool Switch Island. I will try to keep this thread updated over the next few days. any news on replacement disks, anyone got them? Completely forgot about this, did the bbc say 3 months for them to materialise?? 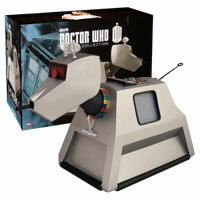 Keeping an eye on eBay does indicate the TARDIS is ‘materialising’ in stores as the days pass. One Sunday there was one on there (it was a BUY-IT-NOW for £35!). Within a few days there were more (although early ‘panic buying has seen these push the £100 Mark. Now there seems to be loads and several available for around the £70-£80 level. Bet those bidding over £100 regret that when they see cheaper ones on BUY-IT-NOW. Watch the bid retraction begin! 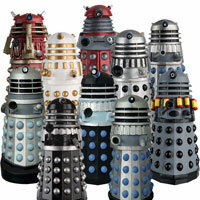 Are Norwich supposed to get stock of the tardises? Sorry to post this on a non-sonic screwdriverrelated post but does anyone know any shops in either San Francisco or San Diego or even San Monica that might sell the seven20 sonic screwdriver? Probably hot topic is your best bet. Does anybody know if Bognor Regis has them? 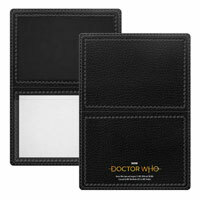 Any update whatsoever ANYWHERE in the uk on when stores will be stocking the Tardis? I bought mine in the end for £2.99 in a FP sale.